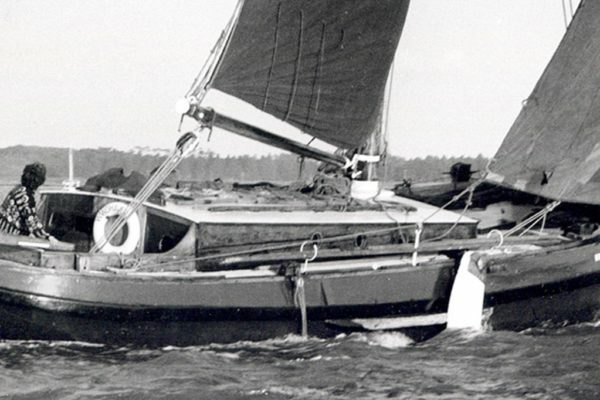 The first East Coast Race, held on 20 July, 1963, attracted 27 starters on a calm day off Osea pier at noon, setting sail for Harwich. The winner of the race was one of the oldest entries, ‘Fanny of Cowes’, and she’s still winning races 50 years on, into her second century. 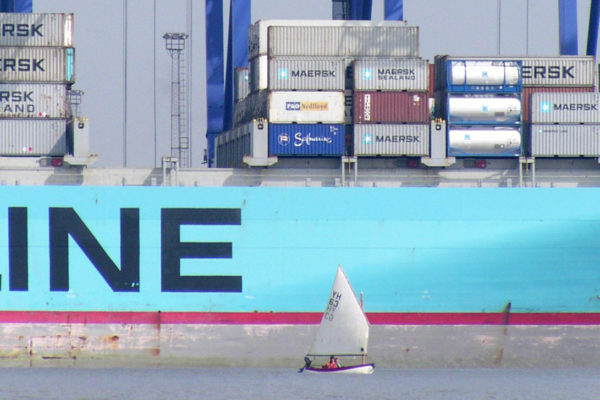 With wind and tides against them, however, the majority of the fleet were forced to retire, leaving only seven finishers struggling into Harwich, with the last arriving well after midnight. Visit the East Coast OGA website to find out about this year’s events. 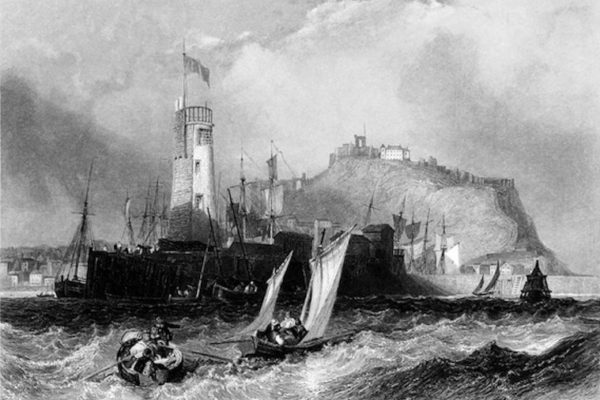 The East Coast old gaffers race is something that should have happened before. Sailed for the first time this year, it produced the most curious, beautiful, and ancient collection of craft to be seen in the Blackwater for many a long year. In a dead calm off Osea pier, the start was a drift of hanging topsails and mainsails, all colours from faded amber to darkest red. 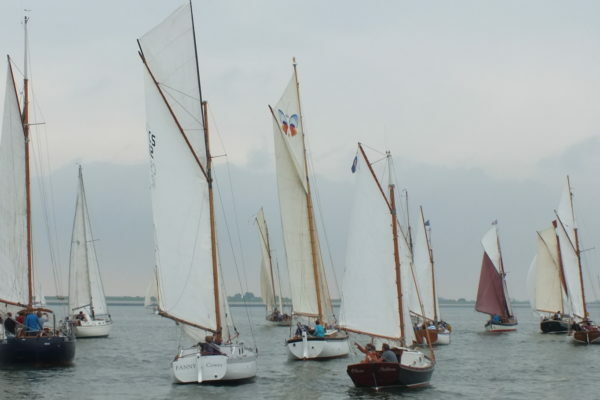 With the ﬂood still running and the ﬂeet bound downriver, it took us over an hour after the gun to make the 50 yards or so to the starting line, but a ﬂuky breeze took the inshore boats away more quickly and the 30-odd starters were soon spread out right down the estuary. 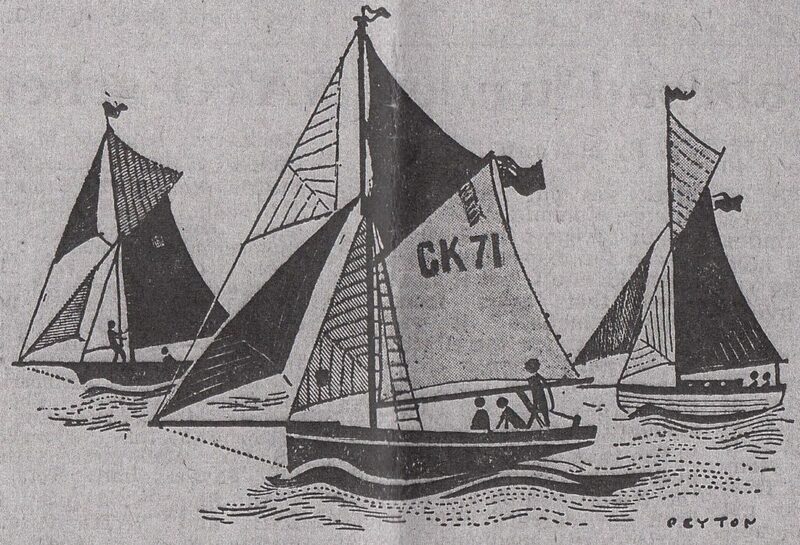 There was plenty of time to sum up the opposition, from the aptly named Fly, a police-cutter built in 1805, to striplings like Fanny of Cowes (1872), Wild Duck (1884) and Maria (1840). 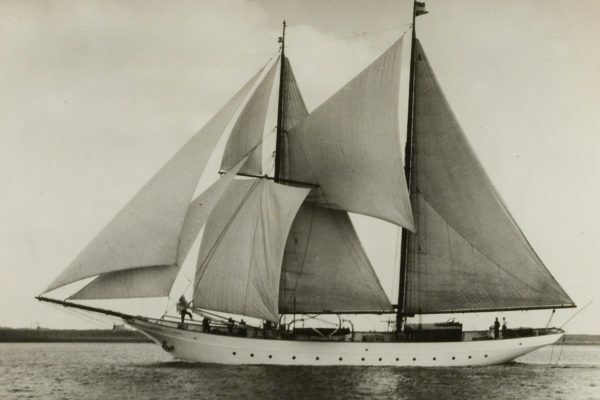 Our own boat, Sugar Creek, at 30 years old, was a comparative modern. 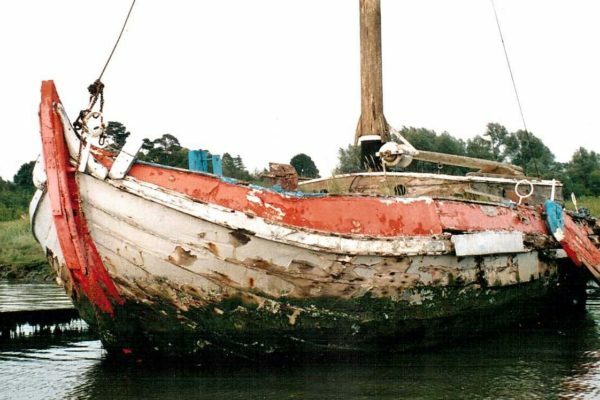 Many of the entries were more or less resurrected ancients, having been dug out of good East Coast mud to sail again as yachts, after being abandoned as work-boats. 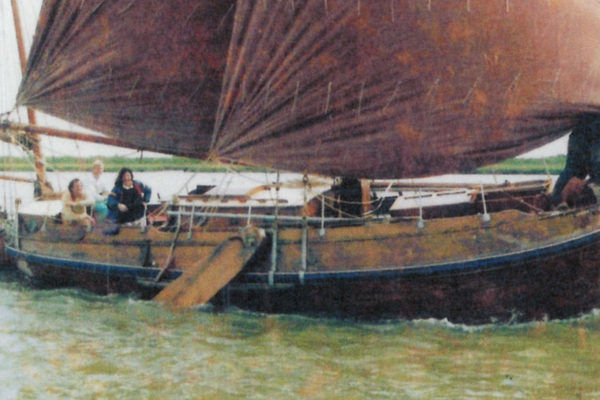 Several were Colchester smacks; there was also a wherry, a hoogaar, a botter, an Itchen ferry punt and one or two converted lifeboats (one bought for £78, complete with survival rations). The tide turned and we pounded doggedly backwards and forwards trying to beat past Walton pier. I thought we were there for the summer and retired to my bunk. We were well-crewed and I had eaten too much fruit cake for the conditions. I lay queasily until I could see at last the pier leaping up and down in the small square of the hatch aft, then, knowing it was beaten, I relaxed. When I woke it was pitch dark. We were sailing into Harwich harbour, rustling along with the lights of Dovercourt abeam and the ﬂashing and blinking of channel buoys ahead. At last the ﬂooding tide was helping us, the last hour of it. We had taken exactly 12 hours for the trip, and timed ourselves over the line at midnight. There was no one there to see us, apart from a pilot boat that shone a searchlight on us as we wearily went about to clear the required side of the last channel buoy. As we let go the anchor in the mouth of the Orwell, having sounded into shallow water, we saw the shapes of two more gaffs, dark against the sky as they moved up the harbour. The sky was a rash of stars. It seemed very peaceful, but not the ﬁnish we had visualised, whooping it up in the Pier Hotel, for we doubted if they would honour our crumpled dinner tickets at this pathetic hour. We left Harwich four hours later to return to our mooring on the Crouch. This time with fair wind, we did the same distance in less than half the time and certainly with a fraction of the effort. 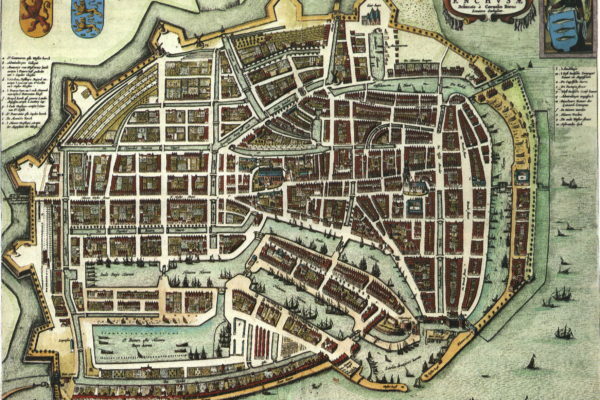 Later we learned that only about seven boats had completed the course to Harwich. Of these Fanny of Cowes was the winner, with Fly second, and Lora third. Corista, a modern 46-foot cutter, was first over the line, two hours ahead of us. At least we had ﬁnished, and it was a splendid weekend’s sailing.